Soul Mates or friends? YOU DESERVE TO KNOW! I am a multi-generational Intuitive/Empath with Celtic roots. Are you in a trust relationship? Is there a future with this person? Let me use my gifts to guide you to your true soul mate. Money issues? I can help! Call me! I have been a Psychic on Keen since 2006. As a 4th generation Psychic, second sight was seen as a normal part of my life since I was a child. I am related to the longest serving Prime Minister of Canada who led his country through WWII by making many of his major decisions using Spirit Guides. You will find me easy to talk to, and able to help you gain better balance in your life. Love/Relationships: This is my strongest area and I invite you to call me. I have helped many callers guide important relationships back to solid ground. Relationships: I have the ability to make a connection empathically with any situation that concerns you. With all callers concerning relationships, the more open spiritually you are, the greater clarity I can give you about where this will go into the future. Money/Prosperity: Did you just have an interview? Are you unhappy at your place of work? Do you feel stalled or undervalued? Do you have more "month than money"? Find out what your blocks are and how to release them. Destiny/Life Path: If you feel like life is passing you by or you can strongly sense you are not moving in your gifts... I will guide you to take the steps to a more fulfilling life. YOU CAN CREATE THE LIFE YOU WANT! Family/Friends: People close to us can be supportive and loving or sometimes deeply hurtful. If you have a loved one on your heart and are feeling confused about where this is going to go, call me. I will make a connection to this loved one and find the destiny of your relationship with them. She is just so amazing ! I was only able to add limited funds but her gift is beyond a blessing. Hello everybody! Holly is the best on Keen. She genuinely cares about her clients. Always helpful, honest, and supportive. I look forward to our conversations. If you call, you will not be disappointed. A million stars is not enough. Call and be enlightened and enriched ! or if you are just friends. Are you finding there's more month than money? Find out what your blocks are and how to release them. 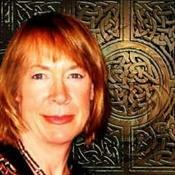 Lady Celtic will help you to discover your special gifts that will empower you to lead a more fulfilling life. You will look forward to creating your satisfying future. Are you finding a beloved animal in your life moving out of harmony with you? Lady Celtic can rebalance the relationship to restore respect, affection and cooperation. Discover peace with people and all circumstances in your life. Lady Celtic will help you to re-balance and find your personal serenity. I am a multi-generational Intuitive whose Celtic roots lie deep in the soil of Eire. and transformative power of God. As a Spirit filled Christian I have been gifted with discernment and clairvoyance. and to support you on your journey. Lady Celtic has been a user of Keen since 2006. Getting Love & Relationships advice from Lady Celtic through www.keen.com is safe, secure and confidential.